With employers reporting that hiring high quality candidates is their top challenge, Glassdoor, one of the world’s largest job and recruiting sites, today unveiled the new Glassdoor For Employers experience. Glassdoor For Employers is designed to help employers recruit and hire quality talent faster and more easily. With Glassdoor For Employers, recruiters and hiring managers will receive a customised experience complete with recommended recruiting solutions (including job posting, job advertising and employer branding products) based on their hiring needs as a small, medium, or enterprise sized company. 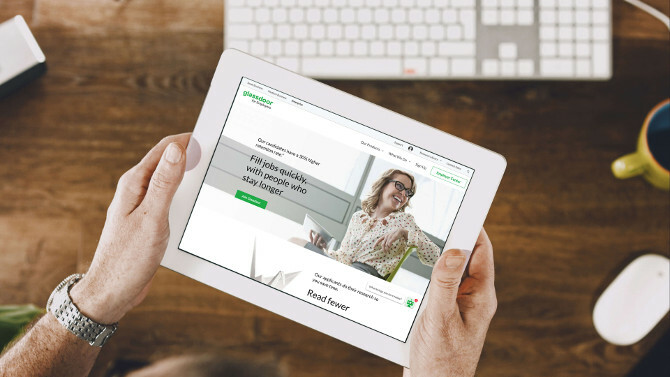 In addition, Glassdoor For Employers features a free, searchable library that recommends resources and articles specifically tailored to the common questions and needs of different sized employers, along with a new chat feature to connect employers with the information they are seeking. Through the chat feature, employers have the option to schedule a meeting with a Glassdoor representative to learn more about the products and resources. Recently, Glassdoor has made other improvements to existing recruiting features to further support employers in their recruiting and hiring efforts. For example, Glassdoor’s updated Applicant Management System (AMS) allows employers to rate and track candidates throughout the hiring process, add notes about candidates, as well as search, filter, and sort candidates. These features allow employers to better stay organised throughout the recruiting process and make more informed decisions about candidates, ultimately helping them make better hires.